The Tucker House does not offer an informal reservation system. The facility is booked on a first come first serve basis. 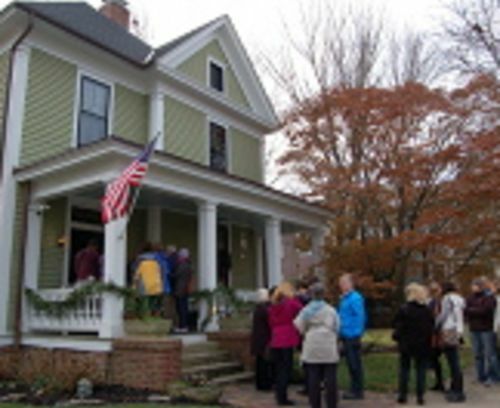 The Tucker House is available to rent Tues.-Sat., 10am-11pm, and Sun., 10am-10pm, excluding holidays. Venue details: The Tucker House dates to 1914 and is a beautiful and historic setting for small weddings, receptions, parties, and other special events. The downstairs can accommodate 100 people, or 50 for a seated event. No dancing is allowed in the Tucker House, as it retains its original flooring. Description The Tucker House is a beautiful neo-classic revival style home is located in downtown Raleigh in the historic Oakwood Neighborhood. The Tucker House is a non-staffed facility that can be rented for meetings, weddings, reception and parties.